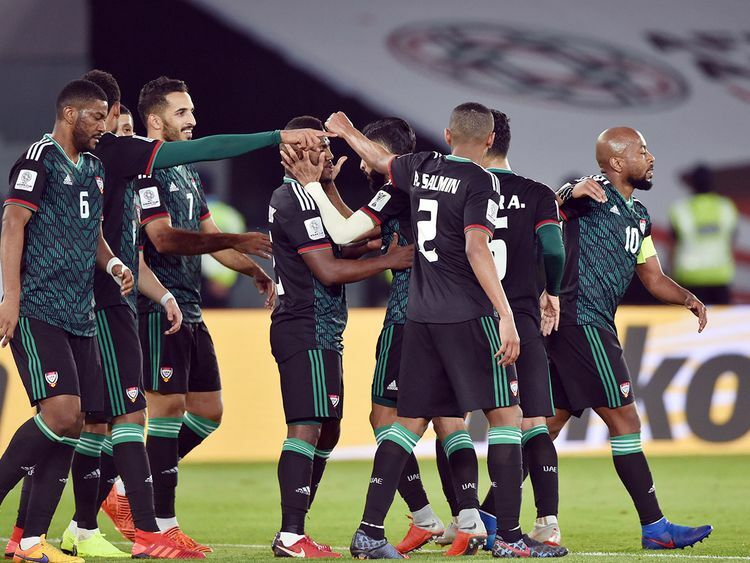 Abu Dhabi: UAE coach Alberto Zaccheroni may have been widely criticised for being overtly defensive at times but the fact remains that the results have come. The Whites have quietly moved on without much fanfare and set up a quarter-final clash with Australia after beating Kyrgyzstan with a hard fought 3-2 win in extra-time after being tied at 2-2. Twice after taking the lead, UAE went into defensive mode and that allowed Kyrgyzstan to keep coming back at them — it finally took a penalty from Ahmad Khalil in extra-time to see the hosts through. With the victories so far not being very authoritative, the fans also seemed to have stayed away from the contest and only 17,784 supporters were present at the 45,000-capacity Zayed Sports City Stadium on Tuesday, which also included a large section of Kyrgyzstan fans. However, Zaccheroni is not perturbed as his shrewd brain has played the right cards and that paid dividends with or without the fans’ support. “Maybe, the fans chose to stay indoors because of the cold and chose to watch the action on TV. I agree that the stadium wasn’t completely full. But there were enough fans. We’ve seen enough support,” said Zaccheroni, who rated his team’s performance as satisfactory given the fact that they were up against a formidable side. “We shouldn’t forget that Kyrgyzstan is a good team and they have played some quality players. I didn’t notice that the defence-line made mistakes. They had a few players who were tall and troubled our defence,” he said. “We have three days before the round of eight and I will be working on the flaws,” said Zaccheroni, adding that his wards showed a lot of spirit to win the contest in extra-time after they conceded the late goal. “Yes, we scored with a penalty and the same we did against Bahrain. But today, UAE created some opportunities and scored goals. Our team was more aggressive and created lots of opportunities more than the opponents. Yes, those were not all converted,” revealed the Italian adding that he roped in three attackers Ali Mabkhout, Esmail Matar and Khalfan Mubarak for more firepower to the attack and it paid off when Khalil was brought in at extra-time. “We took the initiative and succeeded at the end,” said Zaccheroni, whose opposite number Alexander Krestinin, however, acknowledged that UAE preferred to stay on the defensive after scoring and allowed them to press hard. “As far as the play of UAE is concerned, it is for them to say but yes, I agree that after they scored, their defence went quite low. But on the other hand our attack was also working very well,” said Krestinin, who thanked the entire team management for their effort to see them this far in the tournament. Zaccheroni, who led Japan to the title in 2011 after beating Australia, was of the view that he will need to do some homework regarding the Socceroos as he had not followed them for a while. “I do not know anything about Australia. It’s been a long time since I watched them. We played almost 120 minutes and Australia also played almost the same time.